As we all know , Holi is a popular Hindu festival that is quite popular in many parts of non-Hindu communities as well around the globe . This festival is celebrated on the arrival of spring and end of winter . Holi is celebrated in the Indian subcontinent . In recent years , It is started to celebrate in some parts of Europe and North America as a festival of love and colours . This festival is celebrated in Indian diaspora around the globe . Holi has different names in Indian States like It is known as Phagwa in Bihar , Dola in Orissa , Basanto Utsav in West Bengal , Kumaoni Holi in Uttarakhand , Phakuwa in Assamese and so on . Speaking of Holi Festival , It is quite popularly celebrated as ‘Lath Mar’ Holi in some parts of Uttar Pradesh . Where women beat at men with sticks . People have their own style to celebrate Holi . Most of them prefer to visit their families and celebrate it all together . They prepare Dessert and other festival food at their home . The food vary from region to region . People use water colours , water balloons during the celebration of this festival . This festival is also celebrated as thanks giving to God for good harvest . There are many Holi songs made and which are played during Holi . People use different system of music and enjoy this festival and play Holi . This trend is quite popular in India these days . 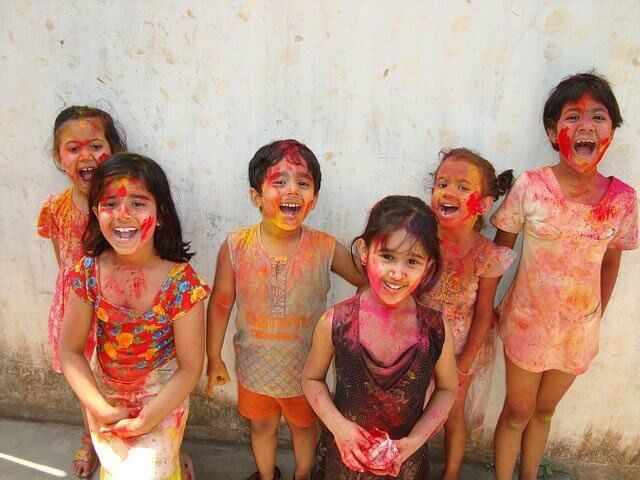 There are traditional ways to celebrate Holi in different parts of India . You could watch Holi videos on Internet to find the unique ways to celebrate Holi in several parts of India or outside India . We are about to celebrate Holi 2019 and on this occasion I’m going to bring three ultimate learnings , which we could get from this festival of colours , here we go . One of the main reason to celebrate this festival is the symbolic victory of good over evil , victory of Prahlada over Hiranyakashipu . I guess , people know the story of a devotee of Lord Vishnu Prahlada and his father and the King of demons Hiranyakashipu . This festival signifies the burning of Prahlada’s evil aunt Holika and survival of Prahlada . So , people celebrate this festival in the form of Holika bonfire . Now , I want to relate the story with today’s world . Dharma or righteousness could always be found in every work , no matter which sort of work we are engaged in . There are always two sides , right and wrong . By learning from the above story keep stick to the righteous way of life , right way of work . We are the one that decide what is right and what is wrong . We get the feeling from our consciousness of right and wrong . Dharma doesn’t limit to only work , It works in our relations as well . How we take our several relationships that what is our ultimate thought process of our life , how we tackle with things . Therefore , we must re-check our Actions or Karma & try to connect them with the future that if we keep doing such karma for a long time , would it be giving a fruitful result , not only for you but for society as well . If they come out with the benefit of society , benefit from human beings in the long run . Then we are on right track as helping in prevailing Dharma on the earth . Otherwise , We must keep changing our actions till we correct them to the way of prosperity , progress and goodwill for ones & all . We must retrospect time to time that whether our actions are hurting someone or no . Whether our words are hurting someone’s sentiments or no . By these motives , always ensure the harmonious behaviour in the society . We must help in to create a system of progress for the world through our actions and behaviour . There is one more reason to celebrate holi . People celebrate this festival to fulfilment of one another thing , which is to spread more love & harmony to your loved ones whether in family , In friend circle , In business circle . More of that , people try to repair their broken relationship to their loved ones . I know many people that wait for Holi only to mend their relationship to their loved ones . People spend this day on the principle of ‘forgive & forget’ . People visit each other homes and greet them on the occasion of Holi . We could take a great learning from Holi and keep the habit of forgiving in our general behaviour . Now onwards , Let’s we don’t wait for Holi to repair our broken relationship . We just get it done whenever we feel it . This isn’t an uncommon thing . Everybody heard this many times in their life . But still we get fail when it comes on the implementation of it . There are people that are perfect in order to live their relationships . They hardly get any issue in the relation to anyone , They have such a lifestyle . But in the same world , there are people that get irritating on small things . They make that small issue very big by thinking it again and again . At last they decide to break the relationship to their loved ones without thinking for a single time but after a while they regret on their past & feel to talk again with that person . On the behalf of Motivation N You , We say that whenever you get such feeling , just go to that person & say sorry to him . I’m sure the other person is going to forgive & forget you in no time . This learning has direct connection with our health . When we say Holi , we get a picture of colours , water guns & others . These days , many colour powders are extremely dangerous for our skin , eyes and for other body parts . Every year on Holi , there are many incidents / accidents throughout the country , which says that this colour causes so many problems because people get hurt from color powder (Gulal) . The reason is , the colourful powder has chemical mixed with that which causes many skin related problems and if it goes into eyes it could damage eyes completely . It happens because there is lack of control on colour making companies . Even in most of the areas this colour is being sold without any manufacturing details , without any content and quality check information . The customer also ignores the same info after buying . When we go into past , We get to know that there was a purpose of use of colourful powder on this occasion . This festival comes in spring season . In this time , weather changes so there are chances of fever & cold . Therefore , earlier there was a system of using some natural herbs like Neem , Kumkum , Haldi and other medical herbs mentioned in Ayurveda . As a result , playful throwing of such herbs powder in the form of Gulal has a medical significance and useful in that environment . Such natural colour powder is still available in market but is very rare & limited . This trend of natural colour must move up so as to protect us from colour having chemicals , which causes dangerous skin and other problems . I guess this is something serious & we must take a learning .